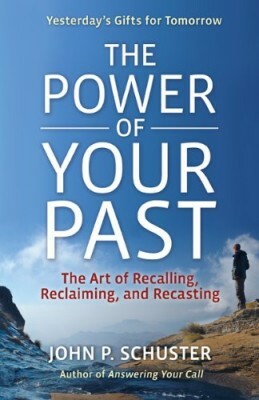 In The Power Of Your Past, John Schuster systematically demonstrates that our pasts are the biggest, most accessible, and most under-utilized of resources for anyone wanting to make positive changes. In contrast to other more technical, spiritual, or therapeutic guides that address working with one's past, he offers a balanced, practical and accessible approach through an actionable three-phase model: Recalling, Reclaiming, and Recasting. Most of us don’t use our yesterdays very well. With our cultural obsession with living in the moment, we neglect to engage in creative reflection on our personal histories. In The Power Of Your Past, John Schuster systematically demonstrates that our pasts are the biggest, most accessible, and most under-utilized of resources for anyone wanting to make positive changes. In contrast to other more technical, spiritual, or therapeutic guides that address working with one’s past, he offers a balanced, practical and accessible approach through an actionable three-phase model: Recalling, Reclaiming, and Recasting. He provides exercises that link past events to achieving sounder interpretations and illustrates the process with inspiring histories of those who have experienced transformative results through embracing their own professional and personal pasts. Schuster provides insight, encouragement, and steps for essential professional and personal development. Readers who follow this model will make progress in careers short on heart and meaning, overcome obstacles that other methods can’t address, and make decisions based on their truth, not the versions of truth they have inherited and not fully examined. They will enjoy the peace of mind that comes with the knowledge that all they need to grow–insight, courage and persistence are the ingredients–is already within.